Cristiano Ronaldo may not have hit the ground running since joining Juventus, but he is certainly enjoying life off the field. Ronaldo relaxed on a yacht with his girlfriend Georgina Rodriguez as the pair made the most of their time off. Georgina captioned the picture: ‘How nice to feel a warm hug when you’re cold❣️ #TeAmo @cristiano’. 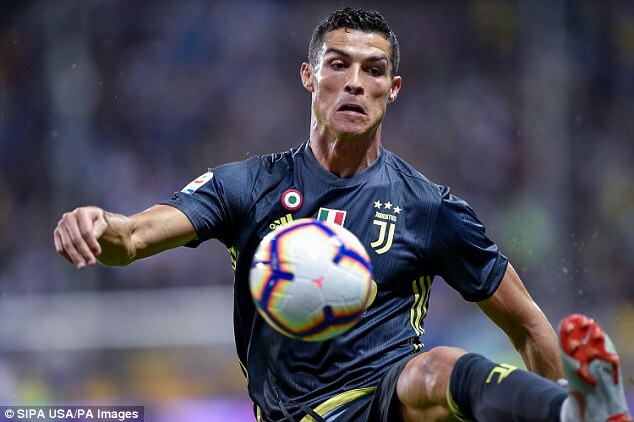 Matters aren’t going quite so well on the pitch for Ronaldo, who has yet to score in his three appearances for Juventus since his £100million switch from Real Madrid.